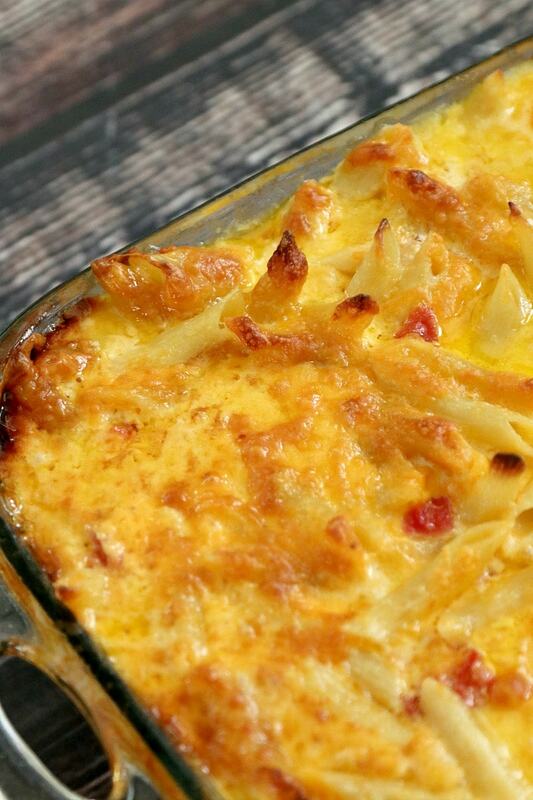 Home » Recipes » Baked Macaroni and Cheese Recipe Homemade and Southern! Baked Macaroni and Cheese Recipe Homemade and Southern! 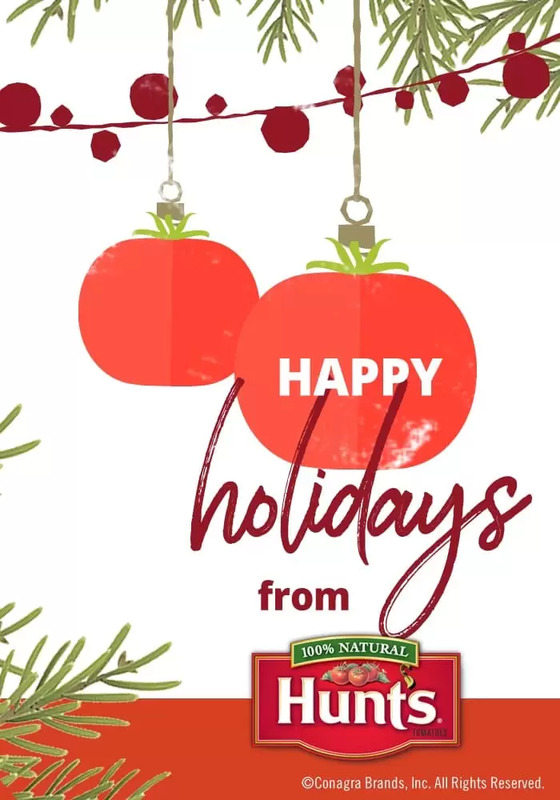 This article in partnership with Hunt’s Tomatoes! I have a confession. I really do not like macaroni and cheese. I’ll pause while you pick yourself up from the floor. Sure, I have eaten 100 ways and a 1000 times. I have eaten mac and cheese at picnics and parties, friends houses and my house. I’ve suffered through countless crock pots full while telling people how great it is, but all the time waiting to throw my plate out. But not with Nana’s mac and cheese recipe. Our Nana makes the best baked homemade mac and cheese this side of the south. Its always been my favorite and every year she makes it at family gatherings and its the one dish, along with my mother in laws potato salad, that I could live off during the feast. This baked macaroni and cheese recipe laughs at boxed mac and cheese and scoffs at powder. Instead, combined with some delicious and creamy cheddar, topped with layers of diced tomatoes and dunked in butter and milk, this is a grown up mac and cheese that keeps on giving. That is why with our family tradition of everyone bringing their best and favorite dish to dinners together, I wanted to share with you Nana’s macaroni and cheese recipe so you can add it to your weekly tradition as well. First preheat your oven to 350 and spray your pan down with non stick cooking spray. Boil your Penne pasta and drain. 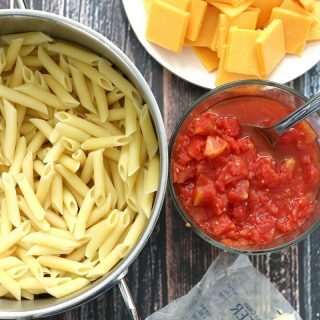 Penne pasta is a tube shaped pasta and perfect for mac and cheese. 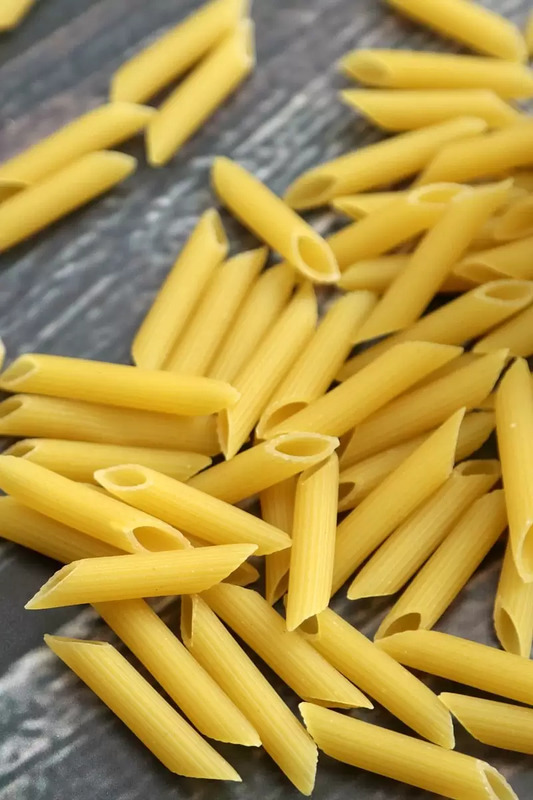 According to Barillla, Penne is great to use because “The large diameter and ridges of Penne make it ideal for retaining sauces on the entire surface, inside and out! Try Penne with chunkier meat or vegetable-based sauces, refined dairy-based sauces, like a mushroom cream sauce, tomato sauces, or spicy sauces. Penne is also delicious in baked casserole dishes, known as “pasta al forno.” This makes it a great choice to enjoy creamy macaroni and cheese. Slice your cheese blocks into thin cheese slices and set aside. Tip: Now most people purchase pre-made cheeses or pre-shredded cheeses. For this recipe, you will need the blocks of cheese, so the slicing is up to you! Supervised, this is a great task that most kids really enjoy and is a fantastic introduction to the kitchen. Personally I believe blocks of cheese also taste better, so I love using freshly prepared cheeses. If you do not have a slicer, you can pick up a marble cheese slicer which allows you to push the wire cuts down and not mess up your counter, or simply get a stand alone cheese slicer and use over a cutting board. Pour your Hunts Diced Tomatoes into a bowl. Do not drain them. Add a tsp of sugar to the bowl and stir. This helps bring down some of the tartness of the tomatoes in the overall recipe. While you do not use the liquid in the tomatoes, do not drain them either. Just use a slotted spoon so most of the juice drains naturally as you layer. Tip: Don’t skimp on ingredients. When it comes to making this southern style macaroni and cheese, ingredients are important! I only use Hunt’s Diced Tomatoes. Hunt’s Diced Tomatoes are cut from firm, peeled tomatoes and packed in their own juice. Add cooked macaroni on bottom layer, then cheese on top, then tomatoes. 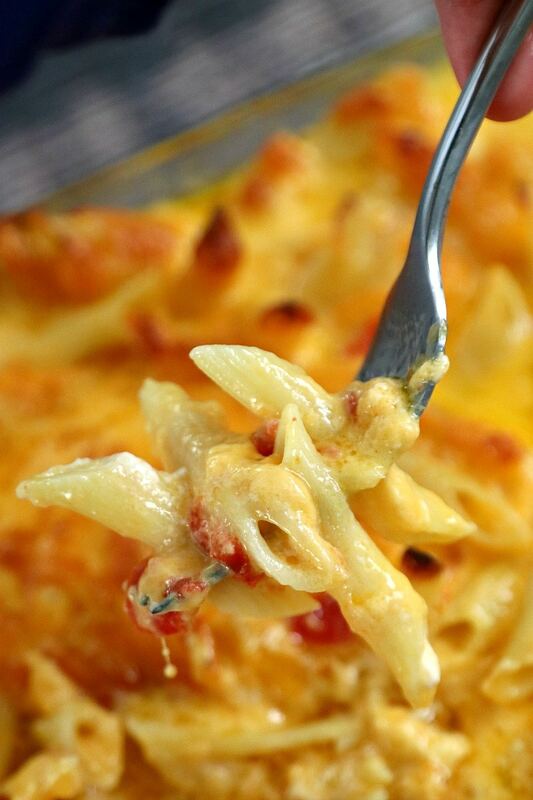 Continue layering macaroni, cheese, and tomatoes. Note: Prepare your easy mac and cheese like you are making lasagna! Cover each layer entirely with cheese. Image below is not as covered in cheese as you want but is to show you the layering technique. 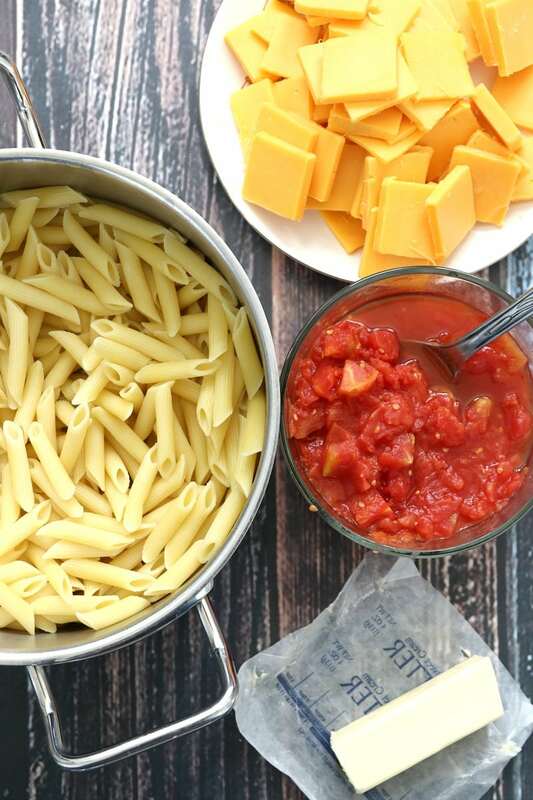 Cover all the pasta with the cheese slices between each layer before moving on to the next step. You likely have 3-4 layers in your pan now. Cover your final macaroni layers with wall to wall shredded cheddar cheese. Add 3 pats of butter on top. Pour whole milk into dish until it reaches just top layer of macaroni, but not over. Nana uses whole milk and I used a mixture of milk and whole cream. Tent with aluminum foil for the first half hour, making sure it doesn’t touch the cheese. Remove the foil at the 30 min mark. Your macaroni is cooked when the liquids are gone and may take slightly over an hour (mine took 1 hour 20 minutes). With today’s modern society and the ease of grabbing recipes (like this one! ), food traditions can easily go out the window. Grandmas amazing cookies that have been eaten for 3 generations may never be made again; because lets face it, grandma isn’t on Facebook to post it. In my house, food IS the tradition. Prepping with kids, letting dad take over the stove, and making up our family favorites year after year is something we all look forward to. This year I challenge you to start creating a binder with your favorite family recipes and passing them down to your kids. This binder can easily be passed to whomever hosts the holiday meal and you can continue the same amazing recipes with everyone’s unique twist. I have provided 3 awesome page recipe cards where you can jot down this recipe as well as your own, use a 3 hole punch and then stick in a binder. Just think of what an amazing gift that would make to a child off to college or when your kids have kids! 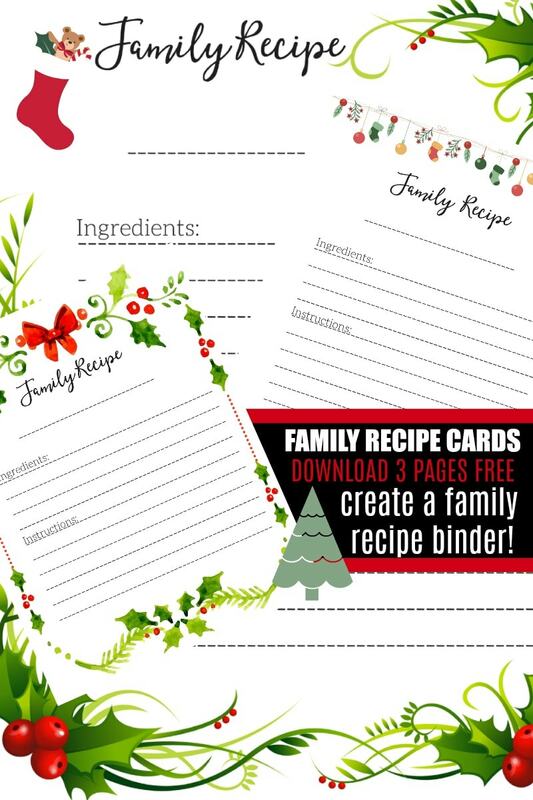 Make sure you print these recipe cards and pass them around this holiday so you can start creating a holiday binder with family friendly and approved food every season. Boil your Penne pasta and drain. Set aside. Slice your cheese blocks into thin cheese slices and set aside.Pour your Hunts Diced Tomatoes into a bowl. Do not drain them. Add a tsp of sugar to the bowl and stir. This helps bring down some of the tartness of the tomatoes in the overall recipe. While you do not use the liquid in the tomatoes, do not drain them either. Just use a slotted spoon so most of the juice drains naturally as you layer. Add cooked macaroni on bottom layer, then cheese on top, then tomatoes. 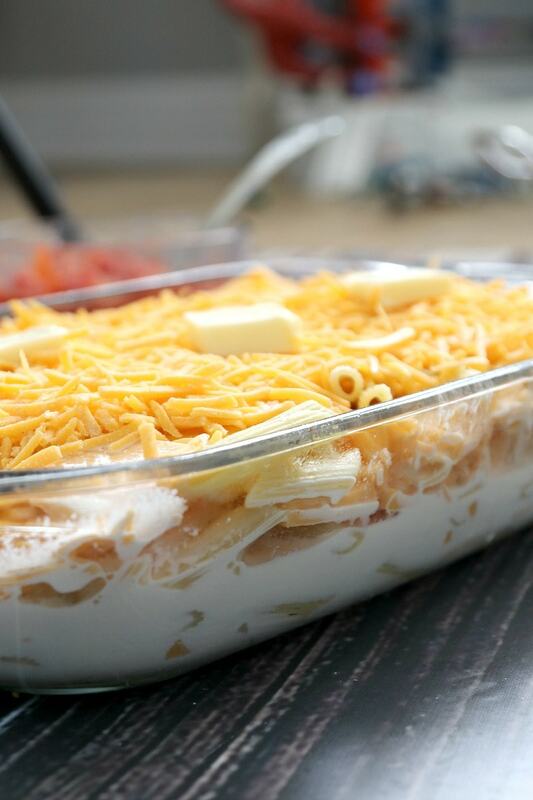 Continue layering macaroni, cheese, and tomatoes.Note: Prepare your easy mac and cheese like you are making lasagna! Cover each layer entirely with cheese. You likely have 3-4 layers in your pan now. 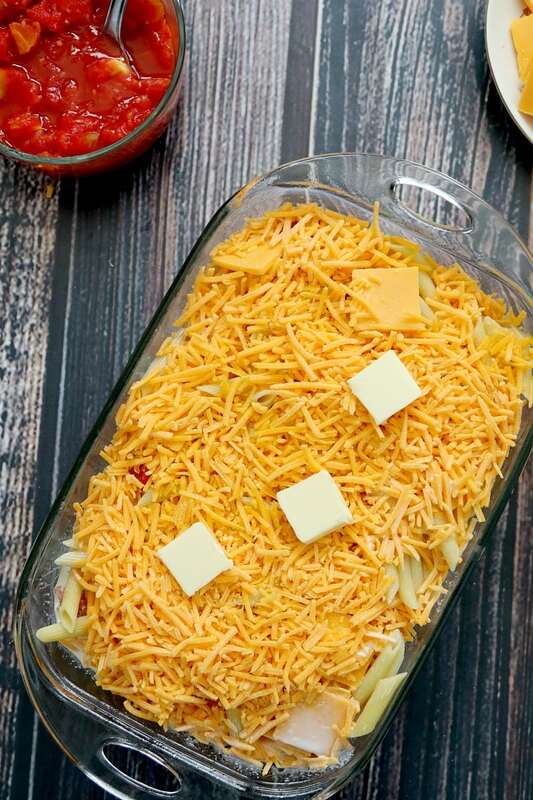 Cover your final layers with wall to wall shredded cheddar cheese. Tent with aluminum foil for the first half hour, making sure it doesn't touch the cheese. Macaroni and Cheese is a dish that brings even adults back to their childhood. You can easily whip this up in a pan as well by adding your penne pasta, 1 block of cheddar cheese sliced, a pat of butter and about 3 tablespoons of cream. Heat slowly over an oven, stirring constantly, and adding more cream if needed. Now you have a fully homemade macaroni and cheese with no oven! Its the only way we make it. Great grater. Does exactly what I want: Grates parm evenly and easily. Kids can use it without issues.